There comes a time that the NFL needs to make some changes and after seeing these two tackles its time they implement strict tackle rules. 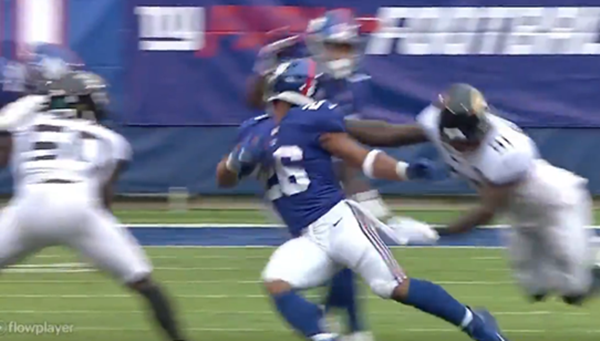 The first of the two worst tackles in NFL for Sunday shows Giants RB Saquon Barkley getting a face plant after one of the Jaguars grabs his facemask and throws him to the ground. 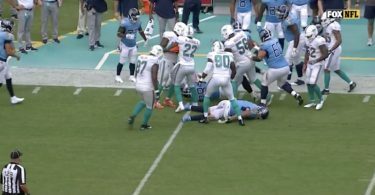 Kevin Boilard reports that this is definitely one of the worst tackles that he has ever seen. This one involves New York Giants RB Saquon Barkley facemask. Easily the worst facemask penalty I’ve ever seen. Giants RB Saquon Barkley is lucky to still have his head. Saquon Barkley‘s first half of NFL action: 12 yards on 8 carries and no receptions. The other worst tackle in the NFL on Sunday is Andrew Luck, one of the most talented players to enter the NFL who hadn’t played a game in over 600 days due to injury, finally returned today. Andrew Luck was NOT that lucky today. 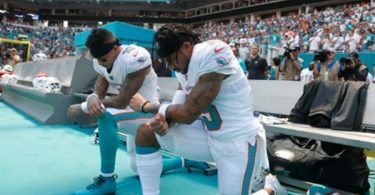 He was promptly decimated by the sort of vicious, cowardly hit that the NFL is supposed to be legislating out of the game. NOTE: The intent here is to injure or intimidate Luck. Andrew Luck was tackled for no reason in this situation. I’m SHOCKED a Bengals player delivered this late hit on Andrew Luck.